Peer into the dark once more-the Black Swordsman roars again! 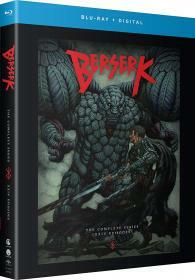 Branded for death and hunted by demons forevermore, Guts embarks on a journey to escape his fate and to get revenge on the man he once considered a friend. Armed with his monstrous blade, Dragonslayer, he and a band of unlikely allies will face danger unlike any they've ever experienced before. The answers he seeks lie shrouded in the night.